Sorry this has taken me so long to send these photos to you! We haven’t had any accumulation of snow, so I waited for a warmer day to install the Armorskids and take pictures. My order was ASE0310-D, for 2 7/8” (2.857”) slot spacing. 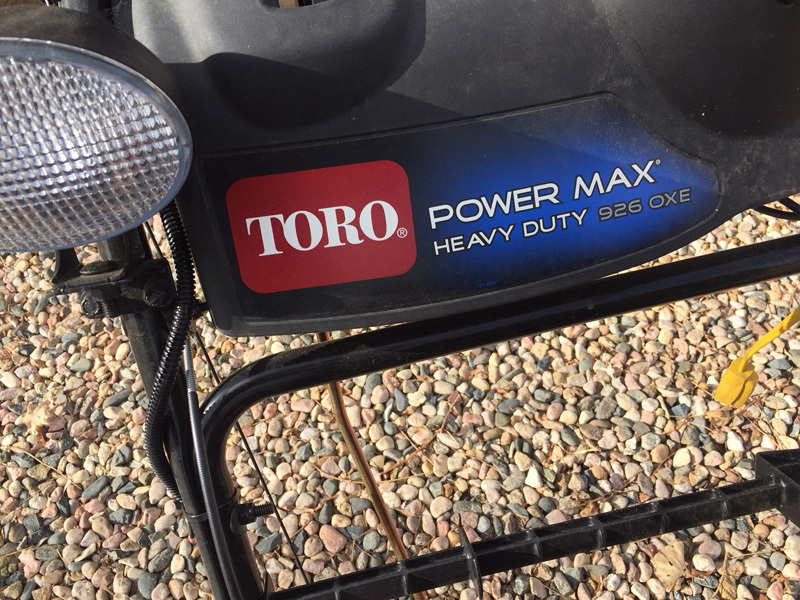 First photo just shows the Toro model 926 OXE. 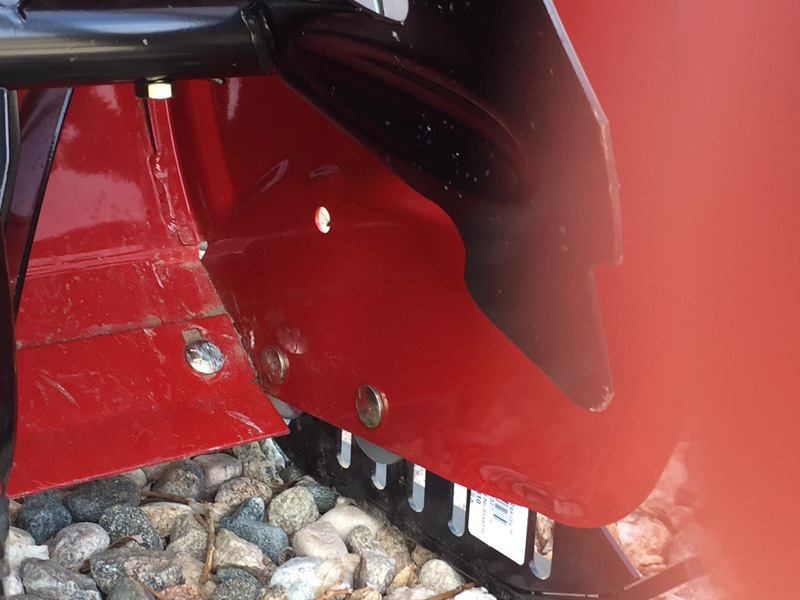 Second photo shows the skids mounted on the snow blower from the outside. Third photo shows the skids mounted on the snow blower from the inside. 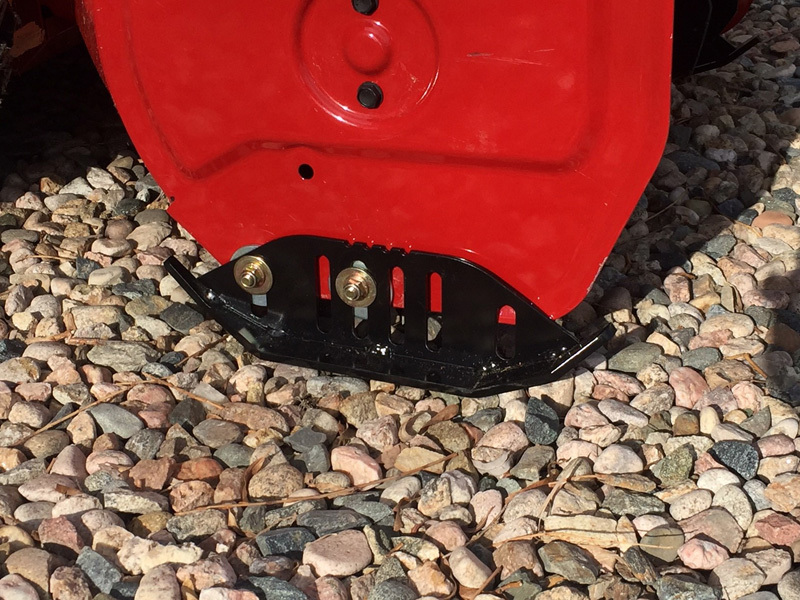 I used approximately 2” washers for spacers between the skids and the snow blower side plate. One at each bolt. I adjusted the skid height so there would be approximately an inch bottom of skid to bottom of blower. I may have to make more adjustments when I actually do some blowing. Thanks again for returning my phone call!